I'm doing this new research, and I hope you people can help me. I'd like to have an information on Globe's mobile internet speed per area initially on Metro Manila, then hopefully the whole Philippines. I know there's more things to consider like the specifications of your mobile phone, the current internet traffice etc BUT for simplicity's sake, we shall ignore them and just look at PING, DL speed and UL speed since we are talking about real world scenarios here, and have multiple trials be averaged. I'm not a master of mobile networks and infrastructure so if you believe i have missed out a very important thing to consider in this research, feel free to voice them out on the comments below. The video was created and uploaded by MacapunoSystem. Got intrigued by several re-post from Facebook so I decided to watch. Its' very humorous and truly pinoy. Watch the video below to see what is it to have a genuine Filipino virtual assistant on your iPhone. "Paghaluhaluin mo﻿ lang yan, PASOK NA SA BANGA"... HAHAHAHAHAHA ANSAVEH? "LIKE!" Needs getting used to it. Siri have some problems understanding my english accent at first. Share your experiences with Siri on the comments section below. Maybe I'd post a video of Siri's usefulness on real world scenarios soon. 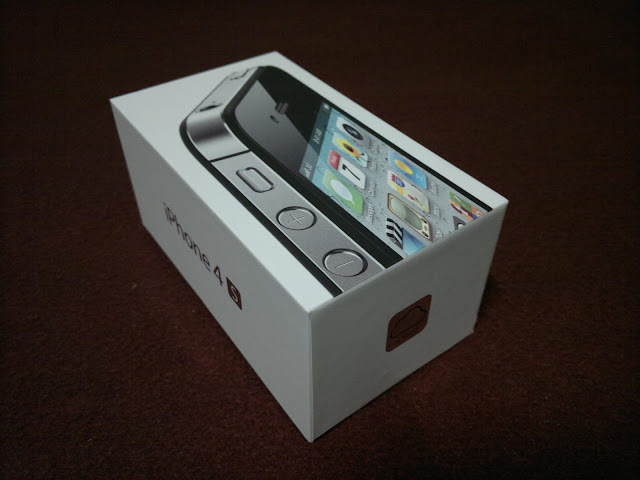 I just want to share to you guys some pictures of the iPhone 4s from being packed to its un-boxed state. I know there are already plenty of un-boxing posts on the internet but for the sake of un-boxing a Retail Package for Philippines, here you go (though honestly i don't think there's much difference with the packaging of the iPhone between countries). by the way, this is from Globe on a postpaid plan. And to spoil the whole post, there's no free bumper case, or casing or key-chain or anything. just the plain phone and its default accessories. 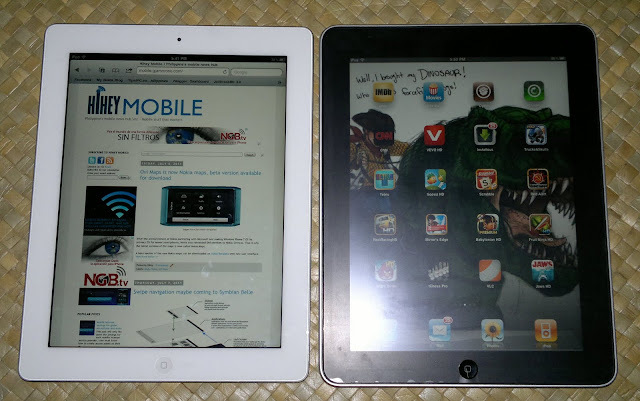 I've manage to get a hold of several smart-phones earlier that's why I decided to take pictures of them side by side. You will be able to see the differences in terms of dimension of the phones below. All images are taken by Nokia N8 (unless specified). The image above is taken using an iPhone 4s. 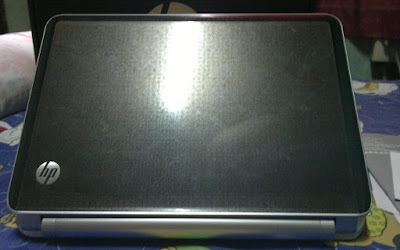 It has somehow a paler color when compared on the image below which is taken using Nokia N8. I posted a short test before "Globe Powersurf bucket charging (per MB or data usage) now available for prepaid , how to register" and now, its official, from Globe. Aside from the the usual Powersurf15,30 and 50, they've also added the Powersurf99, 299 and 499 (all 30 days unlimited internet) previously only available for Postpaid subscribers. Sadly, this is just a promo. Until Dec. 31, 2011 only. 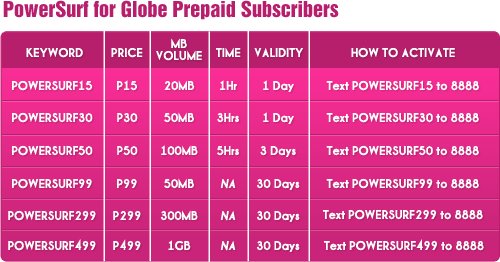 Initially, bucket charging or per data usage via Globe Powersurf is only available for Postpaid subscribers. To continue your registration to POWERSURF<15/30/50>, text TIME <15/30/50) to 8888for <1/3/5> hours of mobile internet consumed per minuted OR text MB<15/30/50> to 8888 for <20/50/100>MB of mobile internet consumed per KB. Valid for <1/1/3> days upon successful registration. Got an email from Nokia and looks like they're giving away a new Nokia Asha phone. I got bored earlier that's why i started playing with my Nokia N8. I accidentally opened Nokia Drive, and noticed that there is a translucent image on my maps. I looked carefully and realized that its the 3d landmarks. I thought this would only come to major cities like the ones located on Europe and US. 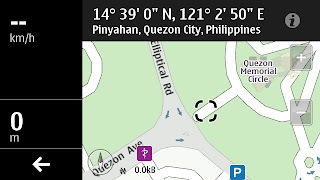 Manuel L. Quezon Monument, Quezon City, Metro Manila Another reason to love navigation with nokia devices. As you can see from the graph above, I started this blog on the last day of Jan 2011 and it grew very fast peaking on July 2011. It took a slight downturn during July - Sept because I became busy with my love life (yes i had one), but it was shortlived and didn't ended happily so I got back on track with blogging, getting a positive turn again by Oct 2011. But I became busy again with another stuff (online gaming) paving way for another downturn again for Hihey Mobile. In just 1 day half of the visitors are gone. So I brought back the website to its original design, i cant afford to lose readers now. I want to get back to blogging again, but i also want a new sleeker look for the site. Maybe i'll just do that when i decided to change the domain name to www.HiheyMobile.com. Expect to for exciting posts from now on. I'm thinking of buying a Nokia Lumia from UK to become first of the reviewers of that phone here in the Philippines. Let's see what happens. Just found this promo from Globe, the Sony Ericsson Xperia Play ( a gaming android based phone) comes free on both My Super Plan 1799 or MySuperPlan Unlisurf combo plan 1799 . Aside from the handset, you will also get a RK330 Multi-Media Dock. I'm trying to look for a picture of the multimedia dock but i cant find one. So what is the difference between My Super Plan 1799 & MySuperPlan UnliSurf Combo Plan 1799 ? BlackBerry MAX is Globe Telecom's all-in unlimited data service (mobile internet service) for blackberry handset users. BB MAX is both offered on prepaid and postpaid subscribers with as little as P50 that is valid for 1 day up to P599 for 30 days. This is just a promo and will last until Dec 31, 2011. Caloocan City – Brgy. 36 Maypajo, Macabalo St. and part of Brgy. 37; part of Brgy. 33, Avellana St., Maliklik Ext. and Lakambini St.; Guido 1 and 2 St., Mariano St. and Juan Luna St.
Manila City – Brgy. 185, Brgy. 181, Juan Luna St., J Luna Int St., Pampanga St., Bulacan St., part of Brgy. 161 and 173; Pampanga St., Tirso Cruz St.
Actually it comes down on how you intend to use your mobile internet. For me,i use my mobile internet (the free time i get from promos) to check my social network account, if i will be using the mobile internet for extensive use I usually apply or register for Unlimited Data plans like SuperSurf 50. 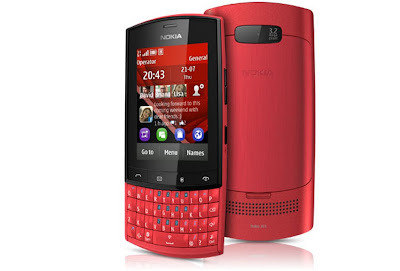 Nokia and Microsoft announced that they will deliver a series of updates call Microsoft Apps to Symbian Belle phones. Microsoft® PowerPoint® Broadcast – quick broadcast of presentations directly from PC to mobile. Microsoft® OneNote™ – rich note taking with images. Syncs with Microsoft® SkyDrive®. Microsoft® Document Connection – single view to documents stored on mobile, including email attachments as well as documents on Microsoft® SharePoint® 2010 sites. Microsoft OneNote sync with SharePoint (in addition to SkyDrive) as well as adding Microsoft Word, Excel and PowerPoint as native applications for the first time outside the Windows platform. Sun has its own offering too. update: Looks like the page from sun cellular is now removed. Performance-grade power in an ultra-portable tablet—that's the BlackBerry® PlayBook™. Get effortless, real-time multitasking capability with the new BlackBerry® Tablet OS, backed up by an amazingly fast 1GHz dual core processor and 1GB RAM. See everything that the web has to offer with Adobe® Flash 10.2 and HTML5 support, just like you would when browsing with a desktop or notebook computer. Experience HD entertainment on the go, displayed on a high-resolution 7-inch capacitive touchscreen, and supplemented with rich stereo sound quality. 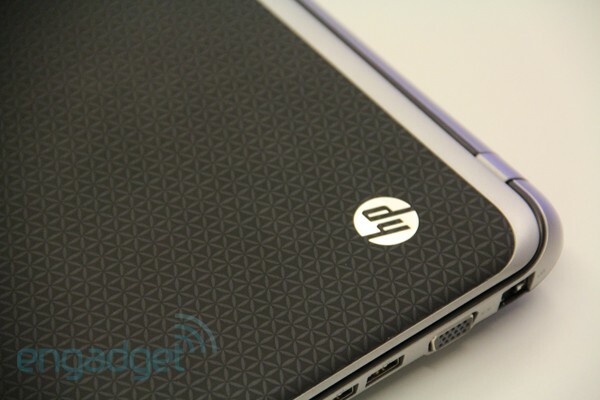 Back in May 2011, we posted an article on why we selected HP dm1z as the laptop for our budget range and needs. In less than a year, another update on this fresh line of notebook is surfaces. As you can see on the images above, there's a shift between a glossy plastic lid to a "SoftTouch -- a rubber coating that masks fingerprints and doesn't reflect light" (according to engadget). Before we only have Fring and Nimbuzz, came whatsapp and now the infamous imo.im (a multi protocol) instant messaging client is available for symbian smart phones. 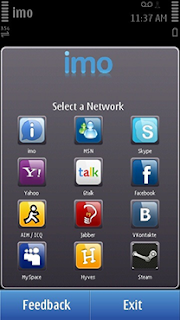 Stay connected to your friends on all the protocols imo supports: AIM, Facebook Chat, Google Talk, Hyves, ICQ, Jabber, MSN, MySpace, Skype, Steam Chat, VKontakte and Yahoo. See all your friends from all your accounts in one place. View all your active chats to quickly switch between conversations. A single login for all your IM accounts. imo lets you link all of your instant messaging accounts. When you log into a linked account, you will automatically be logged into all of the accounts you have linked. Log in to imo's Nokia app even if you are logged in on your computer. imo allows you to be signed on from multiple devices at once. SPB Shell 3D is the world's most popular paid mobile application that allows users optimize their mobile phone to their personal needs. Watch this video to get introduced to the next generation mobile user interface that makes your Symbian experience more rich and effective. I went to a party last week and i've met an old friend of mine who just bought a Nokia N8 and is just an ordinary phone user (not the techie ones). He asked me, "are there any upcoming updates" and i said, "yup. in fact i already downloaded a new revision of Symbian OS, name Anna". I showed him my phone and told him the changes. Do you know what he said? "Ahh basta, turuan mo na lang ako kung paano yan ilagay next time" , in english "just instruct me how to install that update, pro'lly next time". When i told him again, "And there is an upcoming update that will revamp the UI of symbian to match or become at par with android". That's the time he became excited. "Gusto ko nun , gusto ko nun. Meron na ba nun?" which means "I want that, i want that. Is it already out?". That is a realization again for me, normal phone users don't care much about the changes going on with the operating system. Most of them just care about how the phone looks or the experience of the phone as they use it. Nokia announces two new hot phones, the Nokia 100 and Nokia 101. Both are running S30 (this is the first time i heard this symbian version). The two phones are very much the same except that the Nokia 101 has a dual sim capability,an mp3 player, support for expandable memory (up to 16gb). They are both targetted for developing markets and thus can reach 25 days on standby, or 6.7 hours in talktime. The price point will be around P1,500 for Nokia 101 and P1,200 for Nokia 100. Me and a couple of friends have been looking the perfect pair of bluetooth keyboard and mouse for our iPad's to be able to play games more decently (which we haven't found yet). Onscreen controls are fine but sometimes can be frustrating if your fingers are kinda sticky or when they go out of the virtual control's range of input. 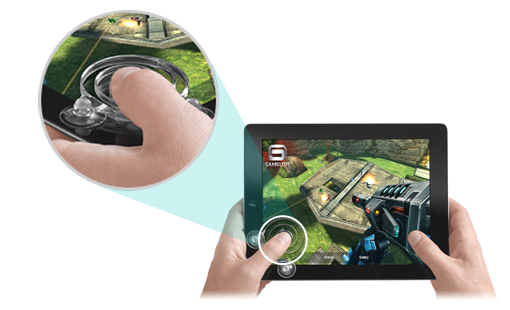 Logitech outs Joystick for Ipad. It's plastic joystick that attaches to your iPad's screen using suction cups. 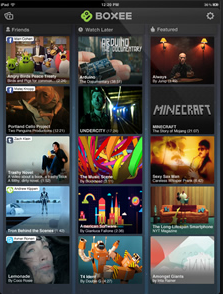 You can now play games with directional buttons with better experiences. Look how wireless streaming of iPad 2 to an HDtv is done. If your TV doesnt not support AirPlay, then you will need a device that can receive data via Airplay such as Apple TV. In less than 2 days, Nokia will be announcing something. Im pretty sure it will not be about Symbian Anna cause its officially released last week. Speculation about Belle being launched on Wed can be a possibility but isn't it too early? My personal guess would be the introduction of the 1ghz phones such as Zeta. 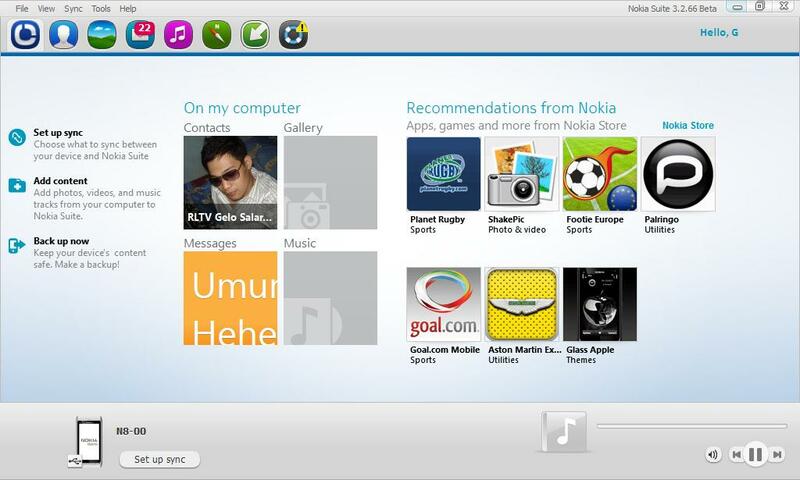 Or how about Swipe UI implementation on Symbian? hehe. 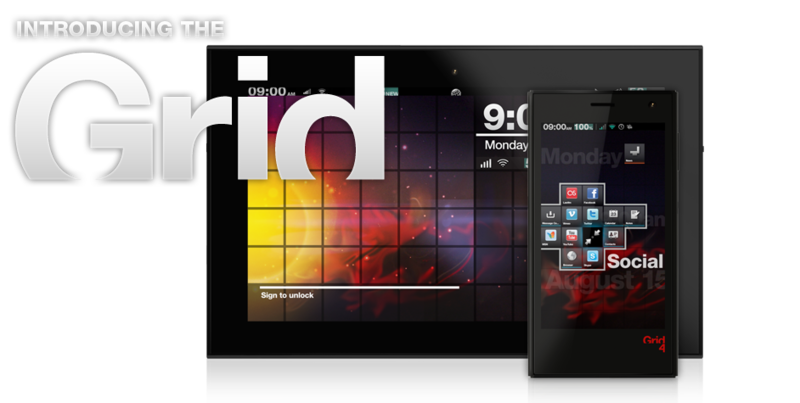 Fusion Garage releases a new competitor on tablet (previously known as JooJoo project which we though was dead) and mobile phone market, the Grid 10 (10" display tablet) and Grid 4 (4" display mobile phone) using Grid OS. GridOS user interface is fresh and intuitive. Its grid layout is fluid, easy to use and unique compared to any other device. User interface innovations extend across all its functionalities. Even the way you interact with a volume dial has been rethought and delivered. What sets this device apart from the current market is that both the tablet and the mobile phone has buttonless design and uses Grid OS as the operating system. Grid OS is an Android kernel with Grid UI on top so basically android apps are compatible in these two devices as well. I recently posted the same promo about a month ago and now Globe made the promo even better. 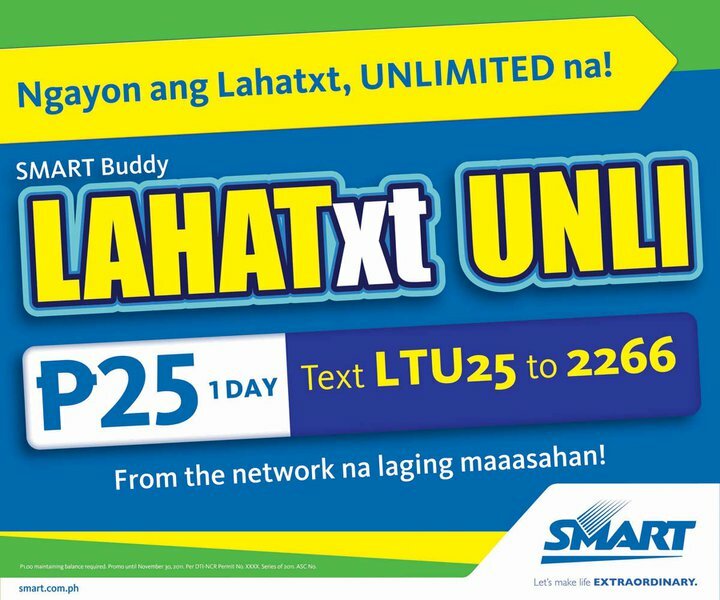 For the same P25 pesos, you will now get 10 mins of call to Globe/TM on top of the original Unlimited Texts to all networks and 1 hour of mobile internet that is valid for 1 day. Been using this for several days already, pardon for the late post. This promo is until September 30, 2011 only. In the dialog box, enter a phone number in the ‘Send SMS messages to this number’ field. Sun is giving 4 options for Blackberry users that are interested also with PlayBook. 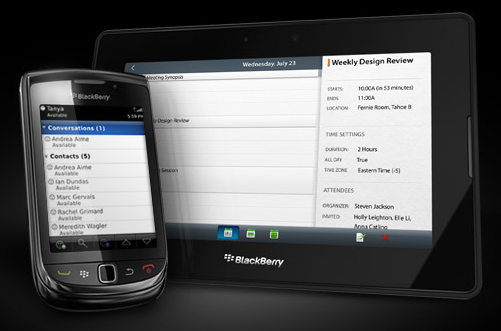 Take note that BlackBerry Playbook will be better when paired with blackbery handset as the user will be able to reply to email or send messages from the tablet when connected to the mobile phone. 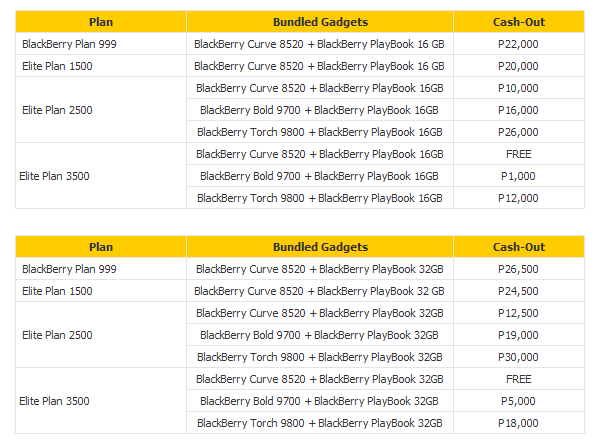 Sun Offers the Blackberry Mobile phone and Playbook bundle on Plan 999, Elite Plan 1500, Elite Plan 2500 and Elite Plan 3500. Mobile phones available for selections are Curve 8520 (why no Curve 9300, its way much better), Bold 9700 and Torch 9800. Boxee works great on PC and set top boxes, letting you watch premium videos from internet (with partners such as MLB, Netflix, NHL, Vudu and Pandora) and now you can stream this contents to and from your iPad and other boxee enabled device. Video from you and your friends - all in one place that goes anywhere. 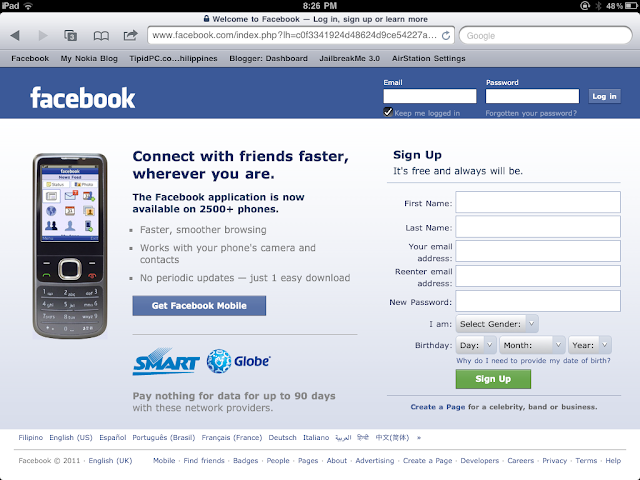 Well now it looks like Globe will be supporting this joint venture from Facebook after all. 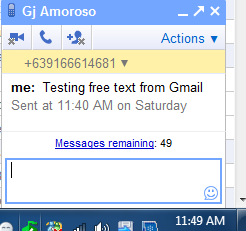 I tried texting FB to 2910 (even twice) but didn't get any reply from Globe. Has anyone tried this one also? Does it work for you? 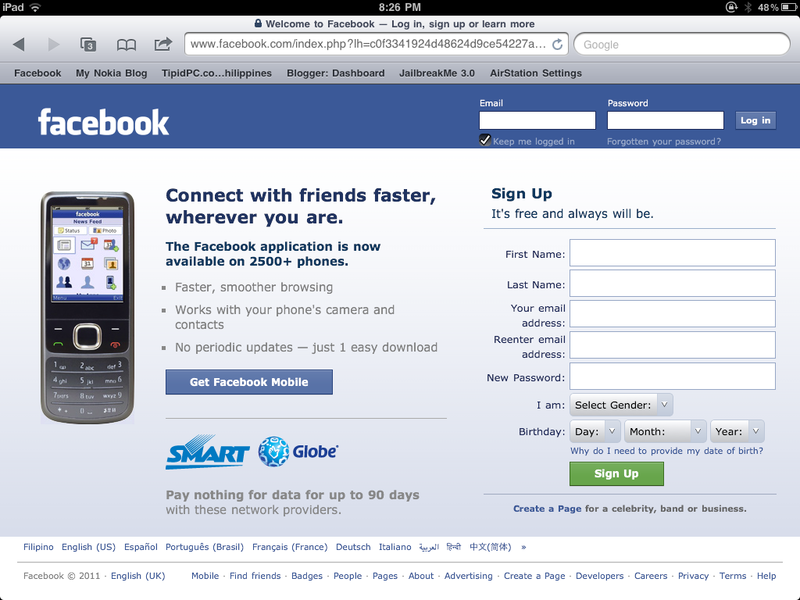 If you access Facebook using a mobile device, chances are you will be seeing a page similar to this. Now, while Sun Cellular has 0.facebook.com for quite sometime already, facebook is claiming that Smart and Globe subscribers too can enjoy free facebook access by downloading a java app(previously snaptu) from them. 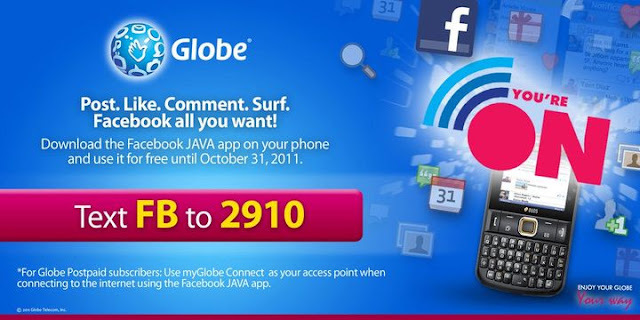 Bummer, tried it earlier on my Nokia N8 (java enabled phone) using Globe as service provider. My load has been deducted by 5 pesos (i'm on prepaid by the way). Confused, i tried searching for answers on the internet while on the move. Found a post from CTB. Hi! We don't offer a free access to Facebook. We have a recent promo which ended last June 30, 2011 Super Facebook. You can register to SuperSurf to access the internet and social sites like Facebook: SUPERSURF gives you unlimited access to the Internet. I saw the webpage you sent. Thank you for bringing this up. The promo you mentioned is not official. Globe promotions are announced and made known to the public through advertisements such as print-ads in major daily newspapers, posters in our Business Centers and authorized dealers, radio and television advertisements, letters or text broadcasts. DTI authority oversees any promo that Globe Telecom may have. Thank you. 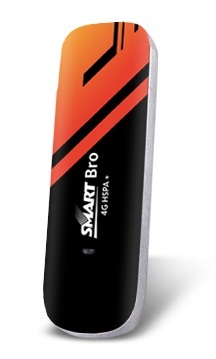 Has anyone tried this on smart? Redsn0w 0.9.8b4 only supports a tethered jailbreak, which means that you need to connect your iOS device to the computer on every reboot. If you've jailbroken your iPhone then you can use jailbreak apps such as AptBackup, PkgBackup or xBackup from Cydia to take a backup of all the jailbreak apps and tweaks so you can reinstall them easily after successfully jailbreaking your iPhone rather then installing them individually. Redsn0w 0.9.8b4 doesn't support iPad 2. 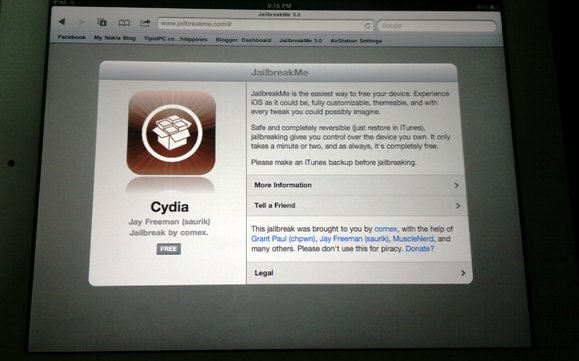 To learn the step by step procedure, visit this blog post How To Jailbreak iPad 1 Using Redsn0w For iOS 4.3.5 [Windows / Mac]. Like N9, the face front has no buttons. back, menu and search buttons are virtual. Smart's Smartalk Unli Call and Text has 3 variation, P25, P50 and P100. The difference is in the validity of the promo subscription where in P25 will only have 1 day of unlimited call and text to Smart/Talk n Text/Red Mobile, while P50 will have 2 days and P100 will have 3 days (this is the most cost effective variant). This is from Smart Buddy so I supposed that this is only available for prepaid subscribers. Similar to Globe's SuperUnliAlltxt 25 without the free mobile internet. Still, this is a good promo from Smart. 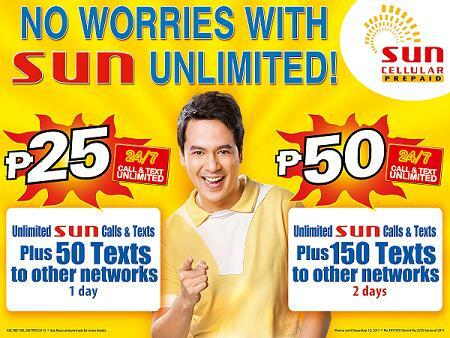 This promo will run from July 15, 2011 until November 30, 2011 only. Promo runs from July 16 to September 30, 2011. After the announcement of Nokia partnering with Microsoft and making Windows Phone 7 OS its primary OS for newer smartphones, Nokia also rebranded Ovi services to Nokia Services. 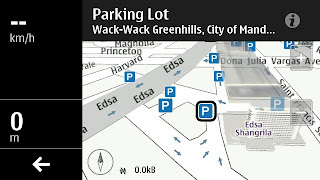 That is why the latest versions of Ovi maps is now called Nokia Maps. 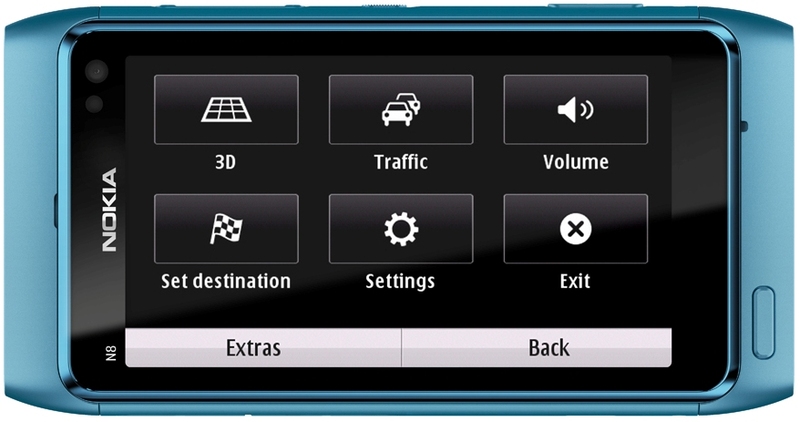 A beta version of the new Nokia maps can be downloaded on Nokia Betalabs with new user interface. Hold on to your S^3 handsets a little longer because it looks like Meego-Harmattan's (Nokia N9) Swipe UI will be coming to Symbian Belle (excited much!). A tipster from My Nokia Blog spotted a document on developer.nokia.com regarding symbian design guideline that talks about integration of new UI model for symbian post Anna utilizing Qt Quick components. 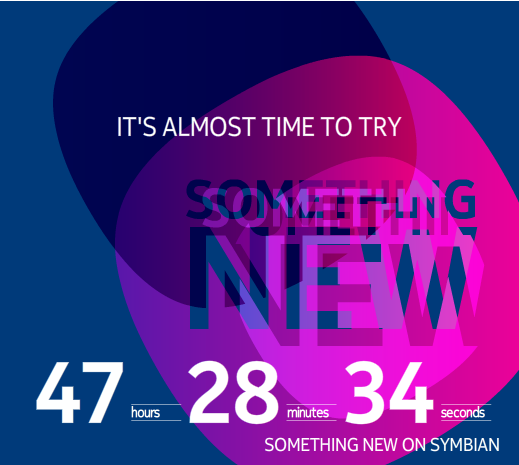 Symbian releases after Anna will introduce a number of changes in the design and user experience. Qt Quick components 1.0 for Symbian is the first implementation that follows the new Symbian design guidelines. By using Qt Quick components 1.0 for Symbian, applications will not only have a fresh new look, but will also comply with the evolving Symbian style. 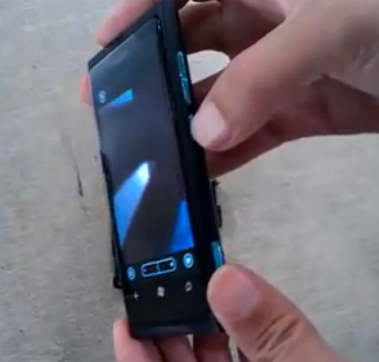 I will be holding on to my N8 even if I buy a Nokia Windows Phone 7 in the future. 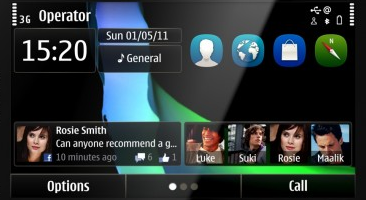 Aside from N8's awesome camera, I'm also looking forward to Symbian belle's new UI even before information about Swipe's integration was heard. This is the first time I jailbreak an IOS device and was very skeptical at first, fearing i might get my gadget bricked. The first versions of jailbreaking software also uses a lot of steps and technical skills which make it very intimidating to do, but after several reading of guides and reviews, i finally got the courage to try it on my week old iPad 2. 1. Just visit www.jailbreakme.com using safari browser of the device you want to jailbreak. In my case, I used safari browser of my iPad 2. 2. Click the Free button, it will change into Install button (similar to App Store's behavior when installing apps). 3. A download will begin and cydia will be installed on your app menu. 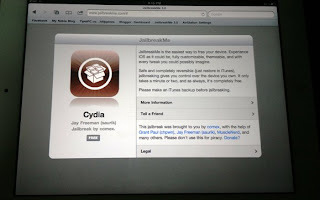 Once Cydia is install, your iPad is now considered jailbroken and you can now do more magical things like installing apps not allowed by Apple on its app store or features and functionalities not available to basic iOS versions like custom themes and wireless sharing of 3g connection. Apple will begin production of fifth-generation iPhones in August ahead of a projected late third quarter launch, according to intelligence obtained by by one investment banker's recent trip to Taiwan . 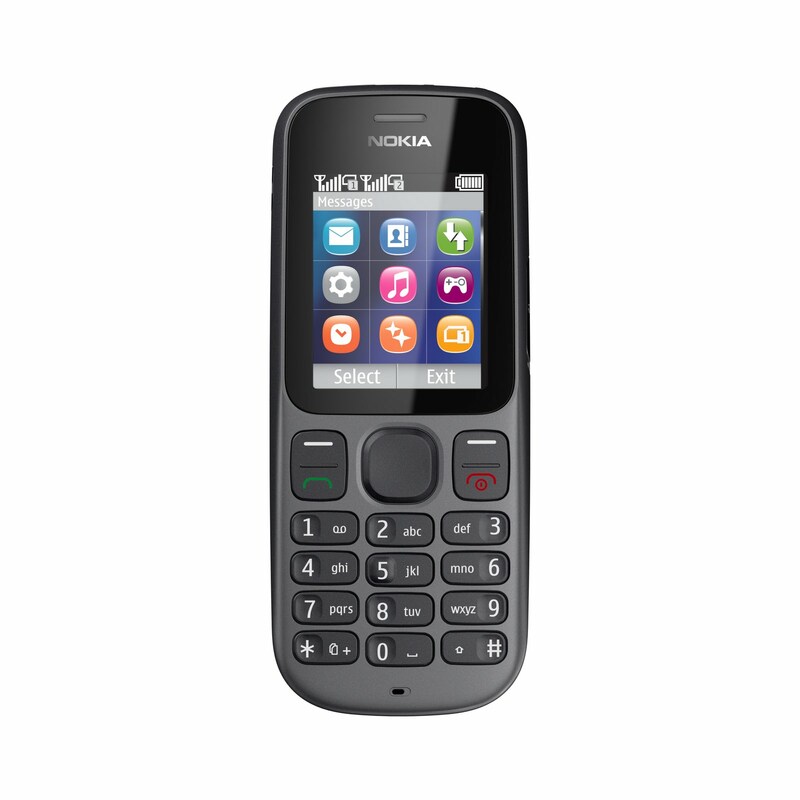 - To save battery, turn off "Save Location info"
Nokia C2-02 is a single SIM version with a similar feature set, as well as push messaging options and a broad range of IM providers included. C2-02 is very similar to C2-03 except that it is not a Dual SIM phone. This phones is set as a mid-range level at estimated retail price of $105 or around P4.5k - P5k. You might be wondering why it is est priced the same as C2-03, me too. I believe this will be cheaper by around P500-P1000 pesos. The Nokia C2-03, the third Dual SIM phone Nokia has brought to market in the past month, comes with Nokia’s unique Dual SIM capabilities. These include features that allow the user to personalize up to five SIM cards with a dedicated look and feel, and an Easy Swap option that lets users change SIM cards in seconds without having to turn off the phone or remove the battery. And even though this phone is running on S40, Nokia is giving this phone access to a great internet experience via Nokia Browser (also known as Ovi Browser Beta). 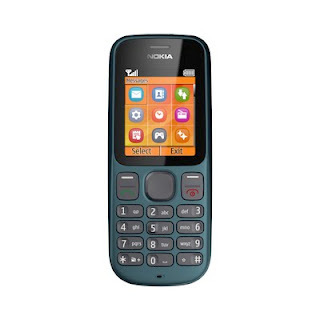 Nokia Maps for Series 40 is also coming with this phone and will be using triangulation method due to the absence of A-GPS or Integrated GPS. This phones is set as a mid-range level at estimated retail price of $105 or around P4.5k - P5k. 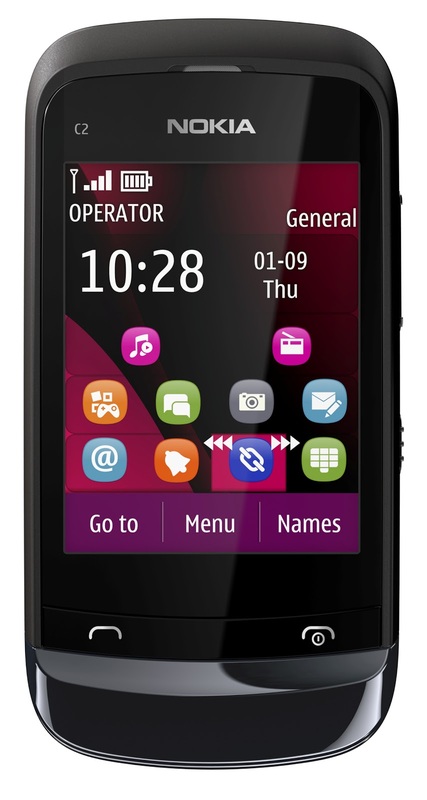 Symbian Anna is now coming to S^3 devices by July. Now lets clear things up, some people say that they will come by July, and some by August. Both statements are true in the sense that those devices that will be getting the Symbian Anna are those N8, C7, C6-01 and E7s that are shipping from Nokia manufacturing this July. Meaning the devices that we already own or already on the retail outlets today will get the update by August. A month later is not that bad but why can't we have the update now when all other new device can. Maybe nokia is preventing unnecessary stress on the update servers while it is being used by the new phones that will be shipped starting July. I don't know. - All screen phone - no buttons on the front side, access menu and open apps using SWIPE . - 8 mp carl zeiss camera with HD video recording (although most new smartphones can do Full HD recording 1080p), plus features such as touch to focus, exposure lock and continuous auto-focus. N9 also is best partnered with Nokia Play 360, a portable bluetooth speaker with NFC and up to 20 hrs of playback. Will constantly update this blog post.